A lot of water has passed under the bridge during this company's successful forty years in business. Here they are recalling their past and milestones. Marlink Japan, the Tokyo-based arm of global maritime communications specialist Marlink is celebrating 40 years in business this month. 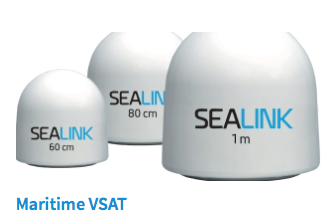 Established in 1978 as SAIT Marine, Marlink Japan is the second-longest serving foreign-owned satcom company in the country, and has been delivering communication services and support to maritime clients in the region for longer than any other company. With deep cultural understanding and local knowledge, Marlink Japan provides Customer Support, Technical Service, and Sales and Marketing for customers based in, or operating in Japan, Korea and Far East Russia. The company was originally established as a provider of maritime radio equipment and went on to become a key accounting authority for ship owners and operators in the region, providing services that streamline the administration involved in VHF billing from different nations. Following (then Marlink owner) Telenor’s acquisition of SAIT Communications in 2002 (which was the company name at the time), the company became Marlink Japan and was quickly established as a leading maritime satcom specialist in the region. Marlink Japan, led by the 2012 appointed Country Manager Shinobu Suzuki, moved to new larger premises in Tokyo this January, reflecting the growing Asia-Pacific demand for Marlink’s market-leading satellite services. Country Manager Shinobu Suzuki said that as an established and recognized satcom provider for their regional customers they are proud to celebrate 40 years of service in Japan. Japan is leading the way in adoption of new satellite services for operational and crew welfare applications, making their new office with facilities for more field engineers, technical support and sales staff, a strong foundation to deliver on their customer expectations today and for the future. Marlink Japan has enabled strong growth in VSAT as more Japanese ship owners recognize the benefits that it can bring to their operations; from helping to recruit and retain crew to providing a platform for digitalisation that can transform operations and deliver significant efficiencies. Through its global multi-band Sealink VSAT network and digital solutions, Marlink is prepared to help Japanese ship-owners develop new smart-shipping solutions that can improve business sustainability. In addition to its global Sealink VSAT multi-band network, Marlink Japan is also a major provider of Fleet Xpress to local ship owners, ensuring their ability to retain access to Marlink’s extensive portfolio of business critical solutions should they choose Inmarsat’s Ka-band High Throughput Satellite service. Ensuring high availability and reliability, all Marlink Japan customers get direct access to high-level front-line support regardless of the services they use. Tore Morten Olsen, President Maritime added that through four decades of growth and service excellence they have secured a strong position in Japan and neighboring countries. By helping ships to operate locally and globally with innovative data and voice communications solutions that enable safety and efficiency, Marlink Japan is today established as a vital resource for the Japanese maritime industry, especially as regional ship owners start on their path towards satcom enabled digitalization.